Old barriers in culture are disappearing, the former BBC Radio 2 drivetime host Simon Mayo tells Campaign, as he prepares for his first show on Bauer Media's new classical station, which launches today. 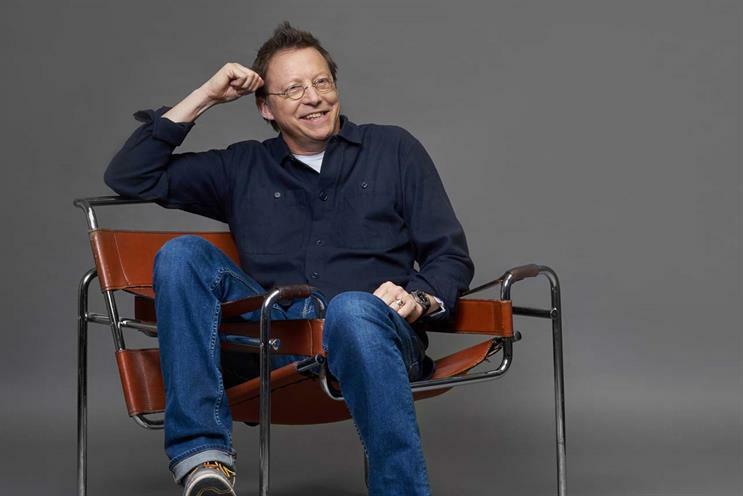 When Simon Mayo kicks off his first show on Scala Radio this morning, it will mark the presenter’s first ever appearance on commercial radio after 37 years with the BBC. But despite the presence of Disney as launch partner for the show – Mayo’s first brand partnership – he says being on a commercial station will be "the least strange thing about it". "When you’re doing music shows on the BBC, you still do promotions, it’s just that they’re all promotions for the BBC," he says. The bigger adjustment has been getting used to Bauer Media’s radio mixing desks after using more or less the same equipment throughout his time at the BBC, which has been like "going from a gas stove to having some newfangled induction hob". Scala, which launched this morning, is the UK’s first new classical station since Classic FM launched in 1992. It is aiming to fill a gap in the market for a slightly younger listener wanting to develop their interest in classical, but with a preference for an accessible format and diverse mix of music. Mayo will host the 10am-1pm programme Monday to Saturday. Other voices on the station include former Classical FM presenter Mark Forrest at drivetime on weekdays and former BBC Radio Oxford breakfast host Charles Nove from 7-10am Monday to Friday. Mayo is known for playing pop and rock, but calls himself a classical "enthusiast", something that goes back to his first job at BBC Radio Nottingham, where he was in charge of a short classical slot. His lack of insider status in the classical scene is what Bauer was looking for, he says – comparing it to some of his past assignments at the BBC. "When I went to 5 Live, they could have booked someone else to front their coverage of PMQs who knew more about politics than me," he says – adding that this also applied to presenting Wimbledon coverage alongside Clare Balding. "But that wasn’t the brief – what they wanted was someone who could popularise the subject matter." Listeners would get "the same version of me" as on his BBC Radio 2 drivetime show, he said, "but playing Mozart rather than Marvin Gaye". Mayo names Mozart as his favourite composer, saying: "He wrote pop music – apart from it being the most extraordinary and profoundly beautiful music ever written." He has a playlist on Apple Music called Mozart for a sparkling morning, and comments: "Some of the tracks that come on, I think, that’s a hit single." The decision to quit Radio 2 came after "some very top secret cloak and dagger conversations" with the Bauer team, Mayo says, but "in the end the decision was quite a straightforward one" after he asked himself whether making the switch would let him "have more fun". Being involved in launching a new station was "scary and exciting and a privilege", he says. The demand for the station was a no-brainer, he argues: "All the figures seem to suggest that classical sales and streams are having something of a renaissance. The old barriers are breaking down a little bit." Classical was shaking off "that white tuxedo, upper class" image, he argues, adding: "Most people I know who listen to classical are the most rock and roll people going." The numbers are hard to argue with: consumption of classic music, combining streaming and sales figures, was up 10% last year, compared with 5% across all genres. Simon Kilby, chief revenue officer at Bauer Media, says the media owner’s research had found a significant trend of people being "more culturally adventurous". He says this is linked to several factors: the rise of the experience economy, which offers new spaces and opportunities for consumers to hear classical music; the growth of streaming, making it easier for listeners to explore; and the general evolution of music, with all genres increasingly open to influences from other genres. Scala would aim to offer a distinct product by featuring "70% of what you may hear on Classic FM or BBC Radio 3, but 30% more entertainment focused", Kilby says. The tone of the station would be "warmer" and "more informal", he adds. For the first six months, Scala will have no Rajar figures against which to sell advertising, so the initial commercial model will be based on deals such as the one with Disney, which Kilby calls a "brilliant fit for the cultural explorers" the station was targeting, because film scores often provided a gateway to classical. Disney is one of 10 commercial partners, with the others including Bensons for Beds, Davidstow Cheddar, Regent’s Park Open Air Theatre, Sandals Resorts and Royal Historic Palaces. Some of the partners have not previously advertised on radio. Mayo, Kilby says, was "just about the best person we could have got – he comes with a massive reputation, a significant audience. I don’t think many people knew about his love of classical music." A number of high-profile male presenters have left the BBC since it started publishing the wages of its highest paid stars, highlighting gender pay disparity at the corporation. Chris Evans left the Radio 2 breakfast show and joined Wireless Group to present (an ad-free) breakfast on Virgin Radio and Eddie Mair, previously the host of BBC Radio 4’s PM, has joined Global’s LBC drivetime show. Asked how his pay package from Bauer compared with the £350,000+ he was on at the BBC, Mayo said: "One of the great things about leaving the BBC is that I don't have to talk about much I'm getting paid any more."